Understanding the morphology changes in plastic solar cells may hold clues for the development of new high-performance materials. Thermal annealing improves the performance of plastic solar cells, but the morphological changes that occur as a result of it are poorly understood. 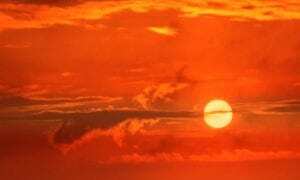 A concrete understanding of how the morphology of plastic solar cells evolves may be the key to the development of new structures and materials with increased performance. Poly(3-hexylthiophene) (P3HT) and a fullerene, [6,6]-phenyl-C61-butyrid-acid-methly-ester (PCBM), are often successfully used as the donor and acceptor materials in photovoltaics, but their optimization has been largely achieved by trial and error. 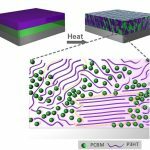 The morphology and phase separation in solar cells are essential for performance, but are not easy to control. The lack of understanding of the size, shape, and other properties currently limits the development of materials that perform even better. In a recent manuscript, N. D. Treat, et al. 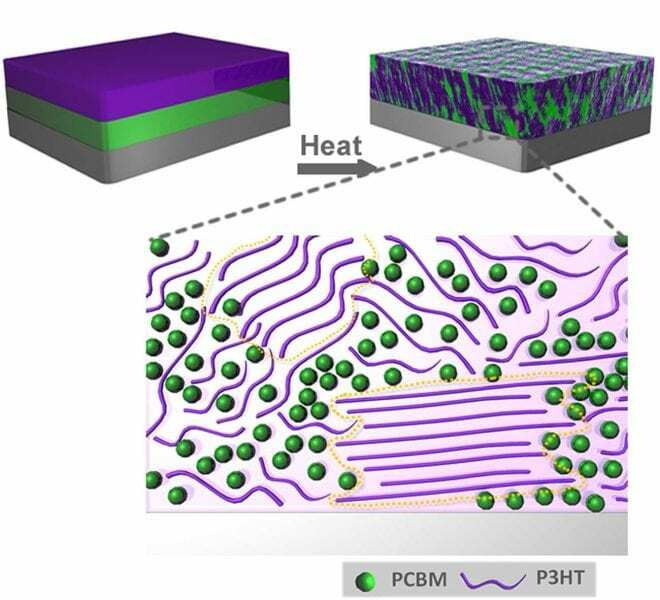 describe the evolution of the morphology in a model system made of bilayers of P3HT and PCBM during thermal annealing. 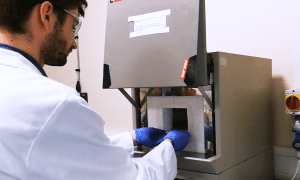 They use a combination of electron microscopy, mass spectrometry, and X-ray scattering to show that during annealing, PCBM rapidly diffuses into P3HT, both as isolated molecules and small aggregates, even at relatively low temperatures. PCBM is both mobile and miscible in P3HT. The interdiffusion occurs without affecting the crystal size, structure, or orientation of P3HT. For this to occur, PCBM must diffuse through the disordered regions of P3HT. Contrary to other studies, which propose that pure phases form in bulk heterojunctions due to immiscibility of the two materials, the authors of this study find that PCBM is highly miscible in P3HT. They report that PCBM has little influence on the number and size of P3HT crystallites, and crystal growth during annealing appears to be independent of the interdiffusion of PCBM. The authors propose that device performance increases after annealing because the P3HT crystallite thickness increases, which improves charge transport. This new understanding of morphology changes during thermal annealing paves the way for the intelligent design of future materials.